2018 Election Endorsements – Make your vote a vote for Labor Unions! 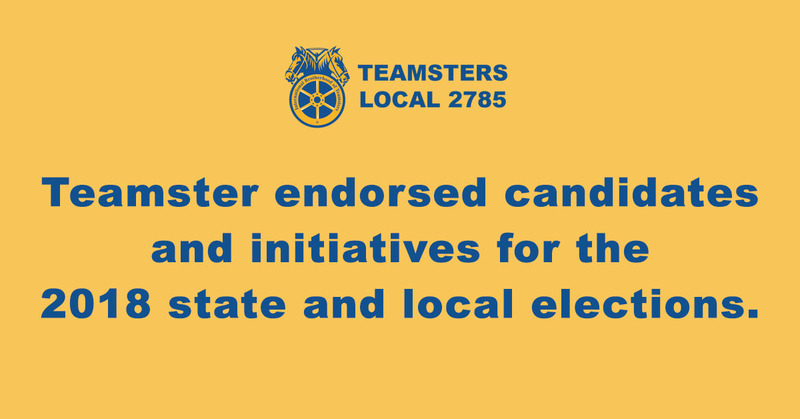 If you want to know which candidates and initiatives in your state and local elections are endorsed by the Teamsters, please see our comprehensive listing here. Please be sure to get out and vote early, vote by mail or on November 6. Help us strengthen our fight for Labor Unions.